Summer is here, time for ice cream! What better flavor to indulge in than coconut? It’s tropical, summery, rich, and sweet. Let’s go! Start by toasting the coconut. 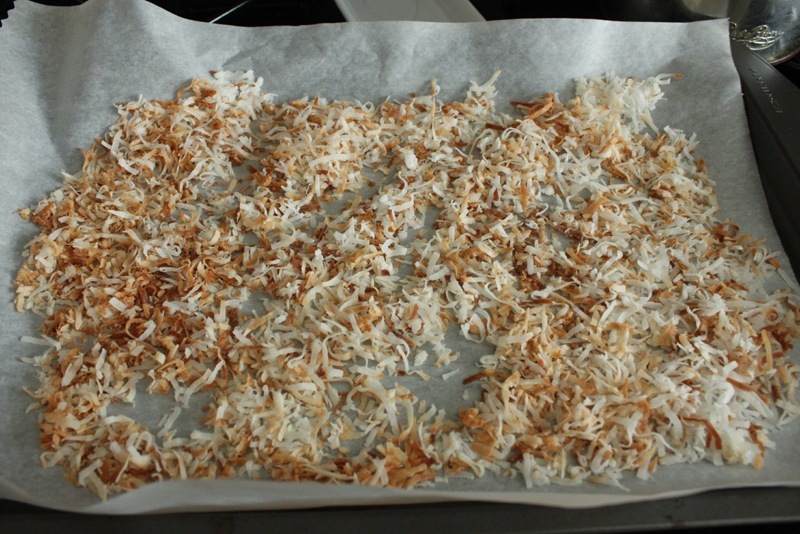 You can skip this step but toasting the coconut really brings out its’ natural nuttiness and sweetness. 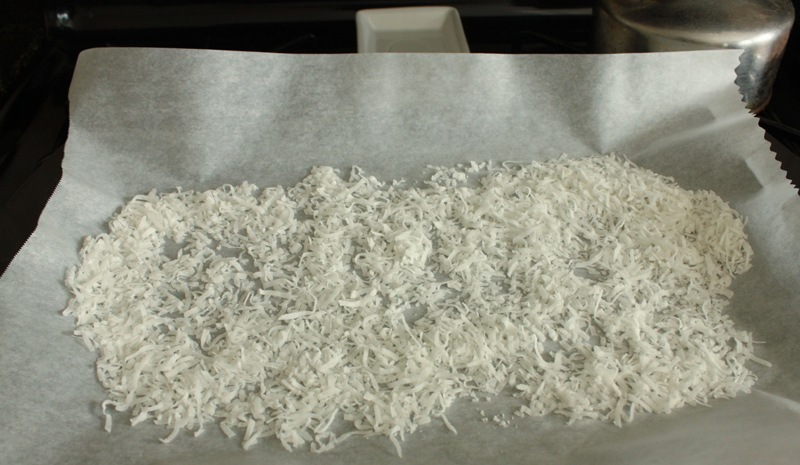 Toast the coconut on a parchment paper lined baking sheet for 4-5 minutes on 300 degrees. Watch it though, it can go from toasted to burned quickly! 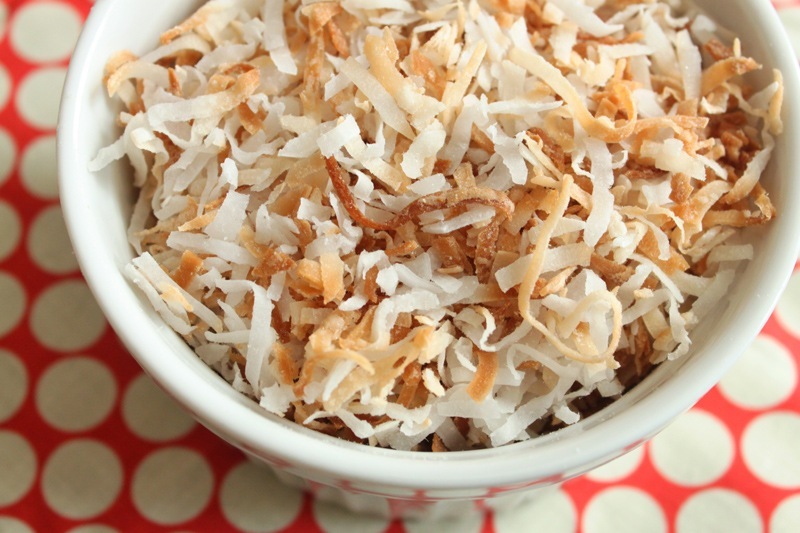 Set the toasted coconut aside in a small bowl to cool. On to the ice cream batter! 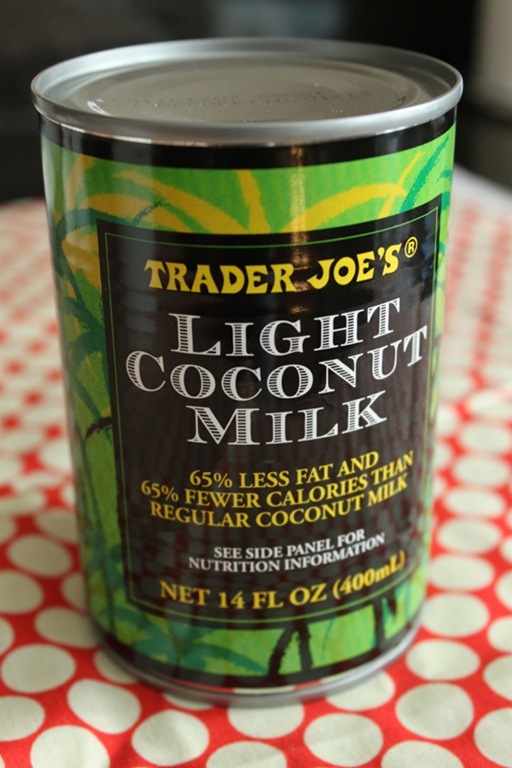 Trader Joe’s makes a lovely light coconut milk which I would recommend using here. It’s creamy, sweet, and smooth. 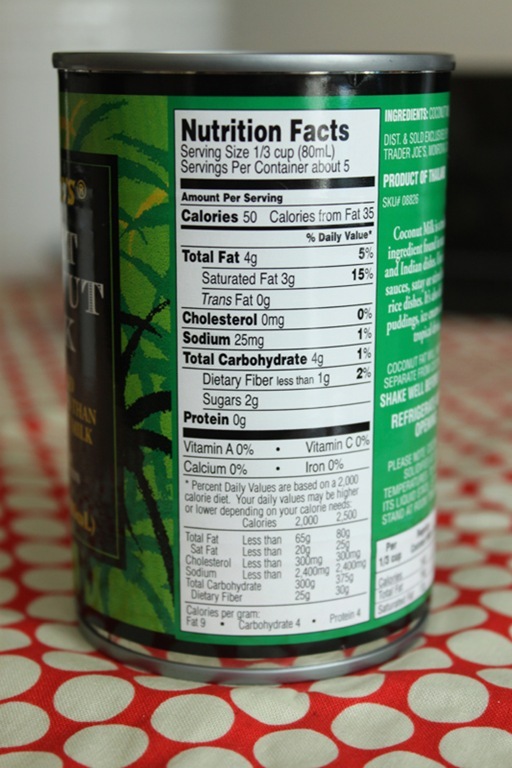 It also has much less fat, sugar, and calories than any other coconut milk I’ve seen at the supermarket (and doesn’t compromise on flavor). 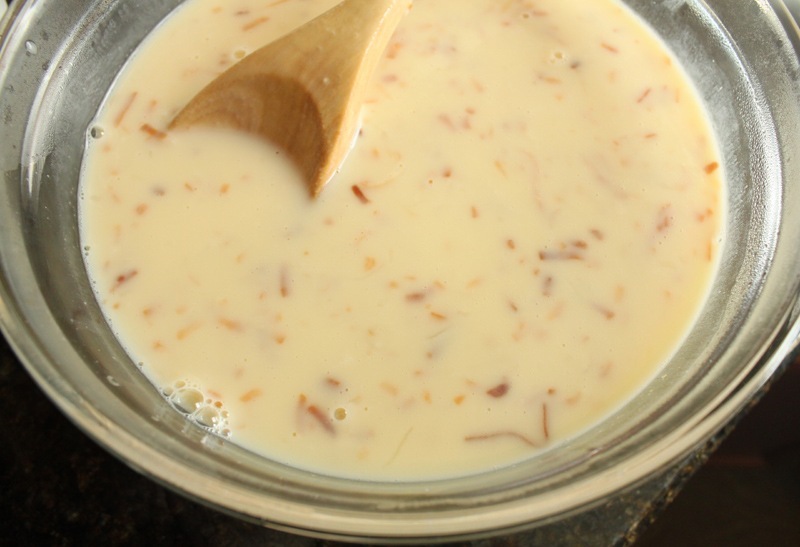 Add the coconut milk, milk, sugar, vanilla, and salt to a sauce pan over medium heat. 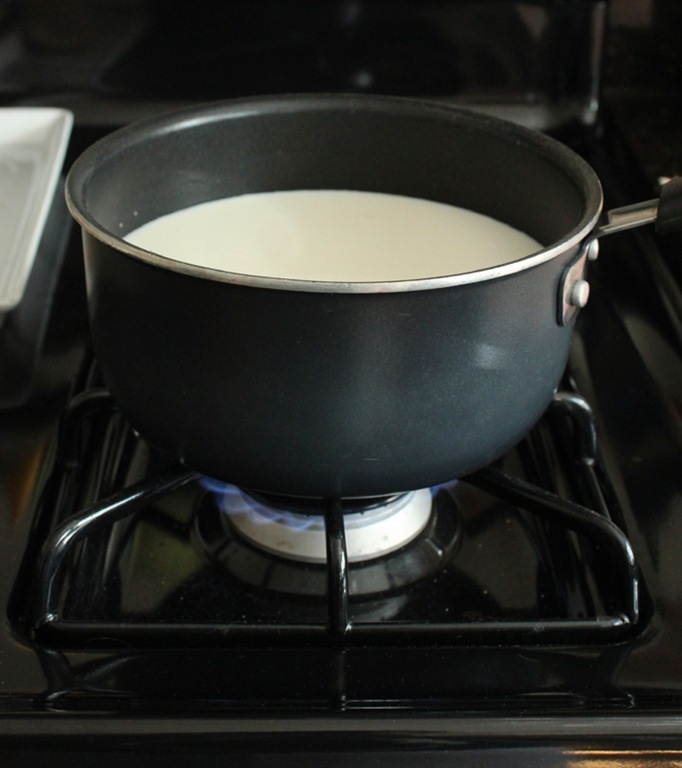 Stir continuously until the sugar has dissolved into the milk. 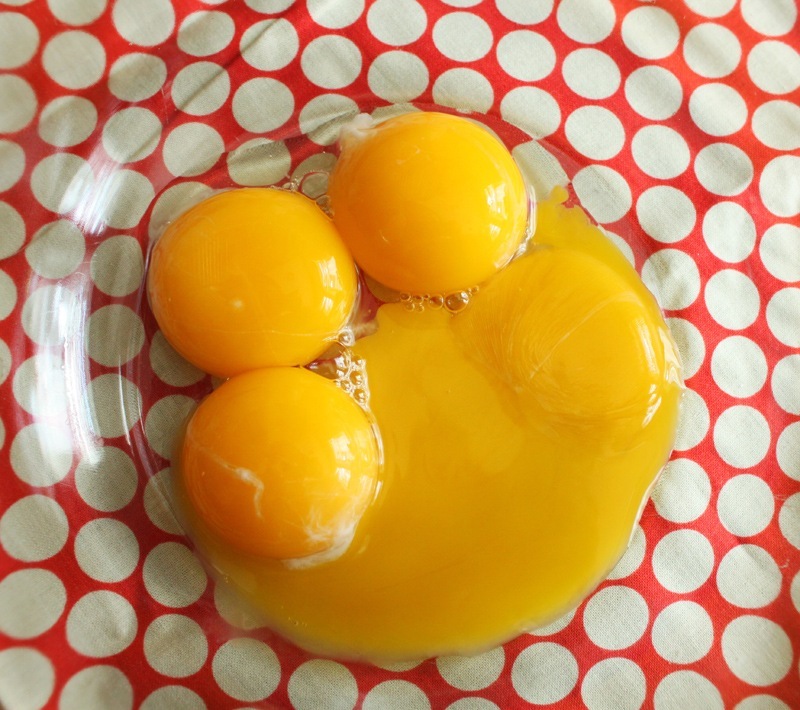 While the base is heating up, prepare the egg yolks for tempering. Whisk them together in a separate, heat-safe bowl. 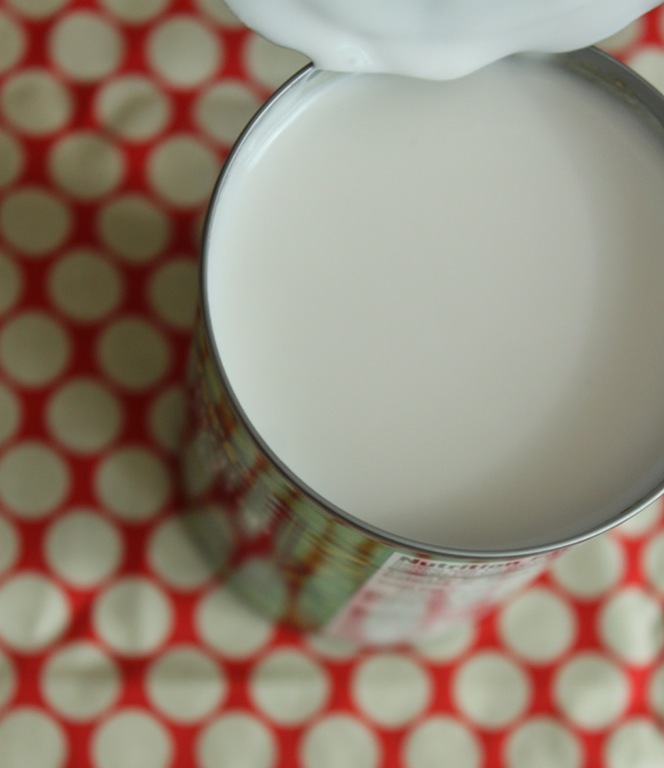 When the sugar has dissolved into the milk, it’s time to temper! Set up the area where you’ll temper the eggs. I like to have the bowl close to the stove. 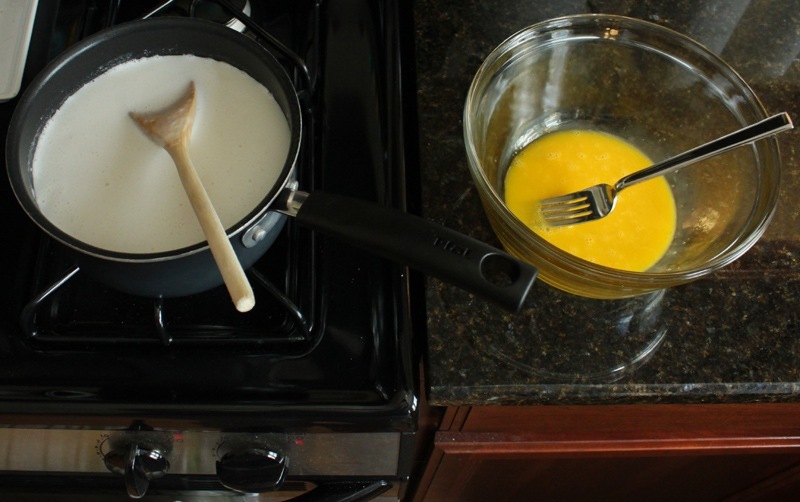 To temper the eggs: Take a cup of the hot mixture and slowly pour it into the bowl of yolks, whisking quickly and constantly. You have to do this slowly or you’ll end up with scrambled eggs. I mixed in just about 3 cups of my hot mixture before the temperature was up high enough to pour the entire bowl back into my sauce pan without scrambling the eggs. 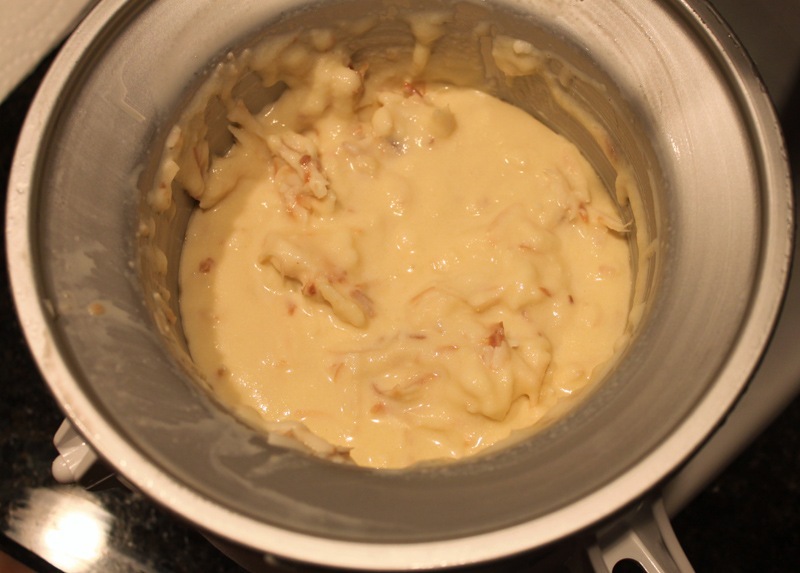 After the eggs are fully incorporated into the mixture (now a custard, really) stir continuously over low heat until it has fully thickened. This takes 15-20 minutes. 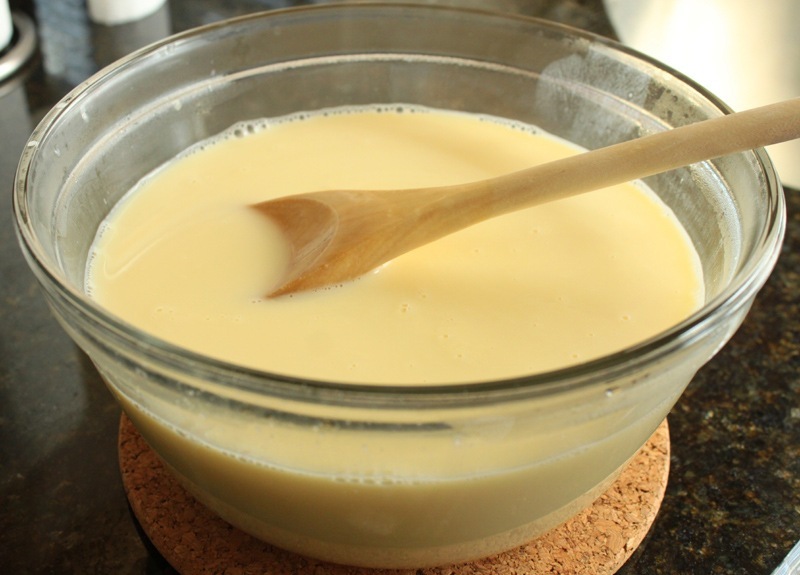 After that time, transfer the custard back into the heat-safe bowl. 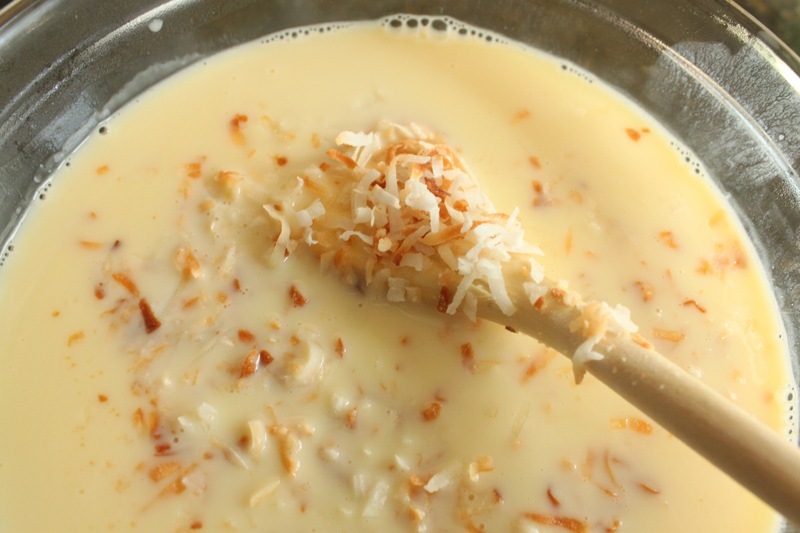 Add half of the toasted coconut to the custard now. At this point I let the custard cool on the counter for about 2 hours. I then covered it and let it sit in the fridge for 5 hours. 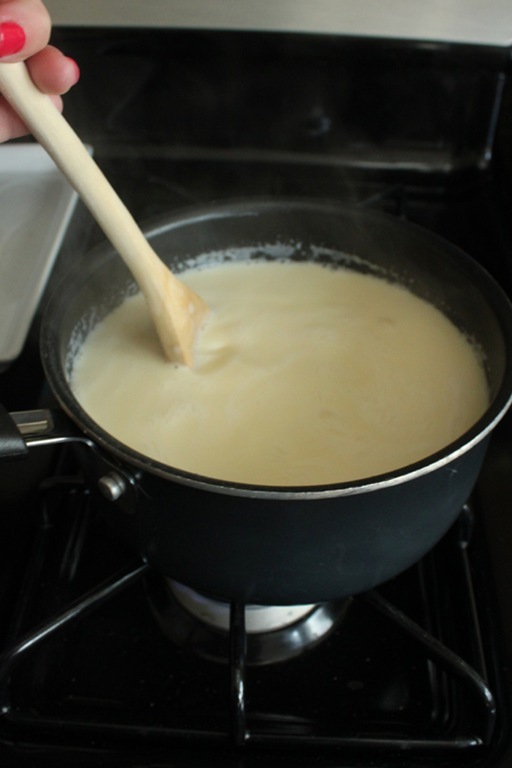 Before making the ice cream, the batter needs to be cold. You can’t pour warm batter into an ice cream attachment, it won’t stay cold enough to form ice crystals. 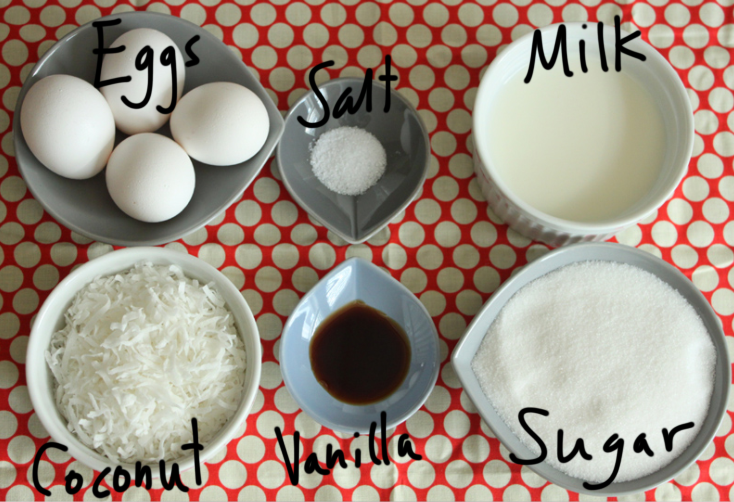 When the batter has chilled, it’s time to make ice cream! 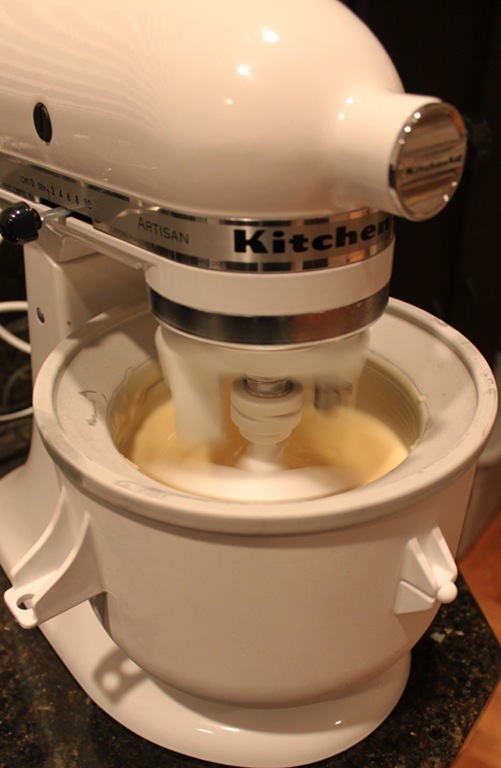 According to your ice cream mixer manufacturer’s instructions, mix the batter in the attachment bowl until it becomes ice cream. For my KitchenAid, this takes 20-30 minutes. 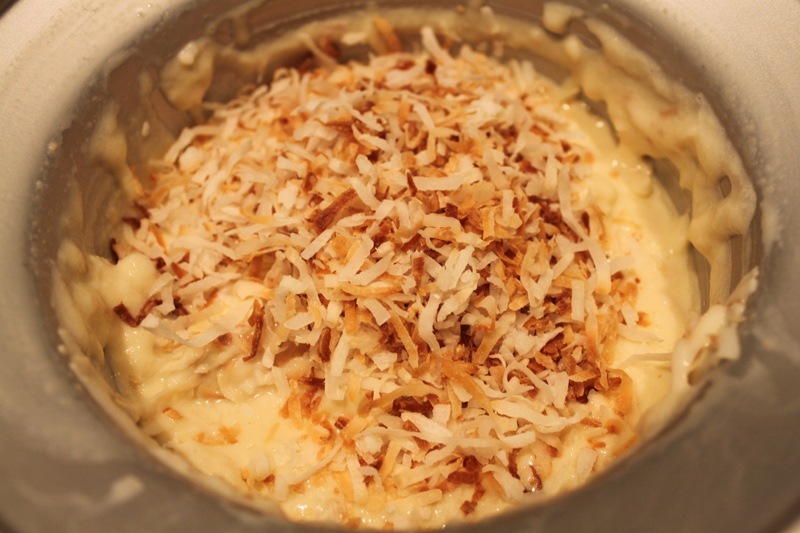 When the ice cream has come together in the bowl, stir in the other half of the toasted coconut. 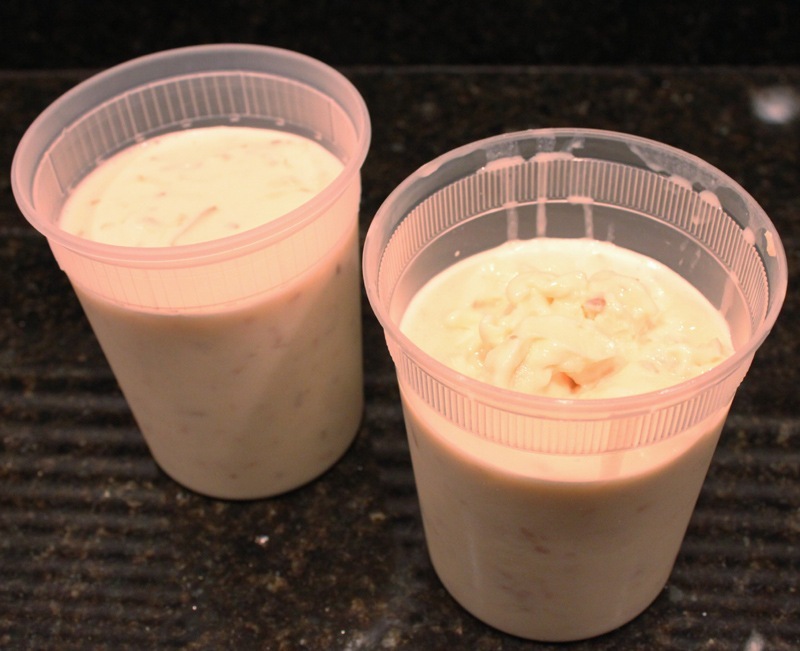 Pour the ice cream into tupperware containers and freeze overnight. The next day we dug in! This recipe was good. Using milk as an ice cream base instead of cream yields a harder ice cream so if you want it soft, you could use cream or half and half. The coconut flavor was perfect, going double duty with the coconut milk and toasted coconut really made a difference. Enjoy! Like everything you post, THIS LOOKS SO GOOD. WHY DO I LIVE IN NEW YORK? I SHOULD JUST PERCH MYSELF IN YOUR APARTMENT AND EAT ALL OF YOUR SCRAPS. Anyhoo…you mentioned that ice cream batter has to be cold to work–is that why I’ve NEVER seen ice cream work on Chopped? Um, probably! Good call! 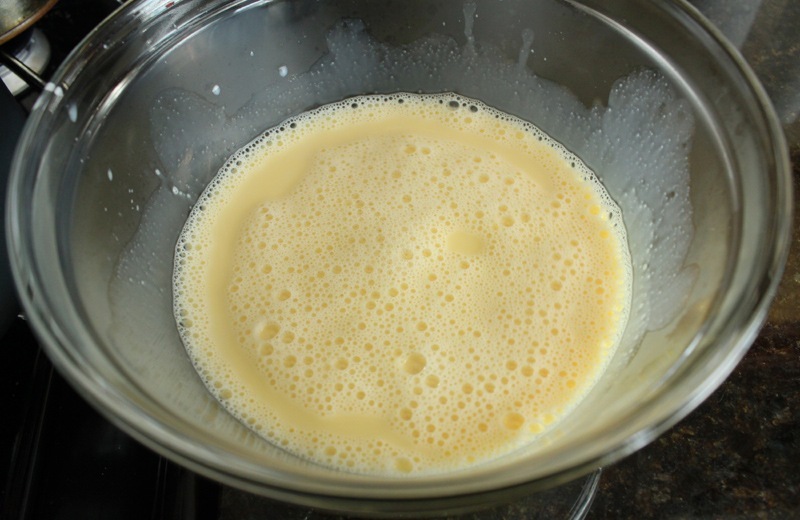 I also think ice cream never works on Chopped because it takes 15 minutes alone to temper eggs correctly and make a custard base…which they never do right. UGH! Is there any way to do this without an icecream maker? Can I just keep put it in the freezer right after? You can’t, the ice cream attachment is used to aerate the batter which forms ice crystals so you really can’t skip that step.